Michelle Mozdzen is an Associate and focuses her practice in the areas of intellectual property, technology and cyber law. 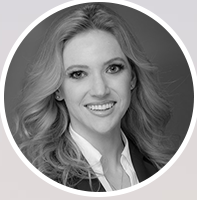 Ms. Mozdzen earned her law degree in 2010 from the University of Arizona, James E. Rogers College of Law, where she was a member of Phi Delta Phi and was part of the National Trial Competition and Mock Trial Teams. She holds a Bachelor of Science in Molecular and Cellular Biology and a Bachelor of Arts in German Studies.